The Solomon Islands is an exotic wonderland of varied landscapes, rich in cultural and biological diversity. Untouched by 20th century development and tourism, The Solomons offer visitors a feast of unique experiences and adventures. The Solomon Islands are located 1860 kilometres to the North-East of Australia. Shaped by earthquakes and volcanic activity thousands of years ago, the Solomons consist of 992 islands, most of which are uninhabited. Hundreds of ships and aircraft litter the ocean floor, providing divers with a wide range of wrecks for scuba divers to explore. These machines and war relics now form spectacular, artificial reefs which attract masses of fish and an incredible variety of coral life. Note: All dive wrecks in the Solomons are National Heritage and the pilfering of these wrecks is not permitted. During World War II the Solomons became a key turning point in the desperate struggle by the Allied forces to repel the Japanese advance in the South Pacific. Most of the heavy fighting was concentrated in the Guadalcanal area, with one of the fiercest encounters in naval history taking place on 13th November 1942. The "Battle of Guadalcanal" extracted heavy losses on both sides. considered the eco-tourism destination of the South Pacific. Located on the western fringe of the Pacific, north east of Australia, the Solomons comprise of 992 islands, extending some 1667 kilometres south-east from Papua New Guinea. Rich in culture, this pristine paradise is one of the Pacific’s best kept secrets and offers the visitor a unique and unforgettable holiday experience. The People: Only 147, of the 992 islands, are actually inhabited. The estimated population of 560,000 are predominately Melanesian, while some outer islands are home to Polynesians and Micronesians. The local people appear shy but are very friendly. Most live a subsistent village lifestyle retaining many traditional and ancient customs. The islands range in size from tiny, low-lying coral atolls to larger landmasses and offer a diversity of geography from tropical jungles and lush rainforests to waterfalls and volcanoes. Most islands are surrounded by coral reefs with tranquil blue lagoons and sun-soaked white sand beaches, lined with coconut palms. Solomon Islands are renowned for having some of the best diving in the world. Crystal clear water with temperatures ranging between 27-30° C, provide a plethora of water based activities. Snorkelling, kayaking, canoeing, sailing, surfing and big game fishing can all be enjoyed. Land based activities include a range of unique cultural, ecological and historical tours. Visit custom villages, cultural shrines, historical WWII sites, view arts and crafts, take rainforest treks to waterfalls, do some bird spotting or even visit a volcano. The Solomon Islands has an equatorial climate, meaning it is usually hot and humid all year round. The islands have an average temperature of about 27˚C with only very small changes from season to season. Seasons are not clearly defined however November to April are the wetter months. Cyclones aren't common but they can occur over this time. May to October is when rainfall, humidity and temperature are at their lowest, however cooling sea breezes help moderate temperatures on the coast all year round. Honiara region: Guadalcanal - "Iron Bottom Sound" is home to a variety of wrecks including troop carriers, transport ships, submarines and planes. All wrecks are National Heritage listed and removal of any items is strictly prohibited. Florida Island (Tulagi). The number of wrecks in the area has made Tulagi one of the best wreck diving destinations in the world. Many of these wrecks lie in the harbour only minutes from Tulagi Wharf. Nitrox and limited mixed gas facilities are available for the technical and more experienced divers. The Aaron Ward is the only accessible destroyer in the Solomon Islands, which was discovered in 1995. Depth 53-73 metres. Uepi: The diving around Uepi Island mainly consists of a combination of coral gardens and magnificent drop-offs. There are a multitude of dive sites available ranging from the beautiful reef eco-system, to the wreck of a P38 fighter plane just 1 hour from the resort. Most dives range from 15-30 metres - from here you can spot the resident sharks and an enormous diversity of reef fish. .
Gizo: Gizo is renowned for having some of the most diverse and exciting diving in the Pacific region. From WWII wrecks to numerous offshore reefs, Gizo has it all. Spectacular coral formations, plummeting walls, manta rays and an abundance of marine life can be found in this island paradise. Munda: The diving in Munda is still largely unexplored with new dives sites being discovered regularly. Majestic wall dives and virgin reefs are specialities of this area. The soft coral overhangs of Mushroom Island, the 4km drop at Shark Point and the amazingly colourful coral of Rainbow Passage are fast becoming renowned as world class dive sites with intense big fish and shark action. 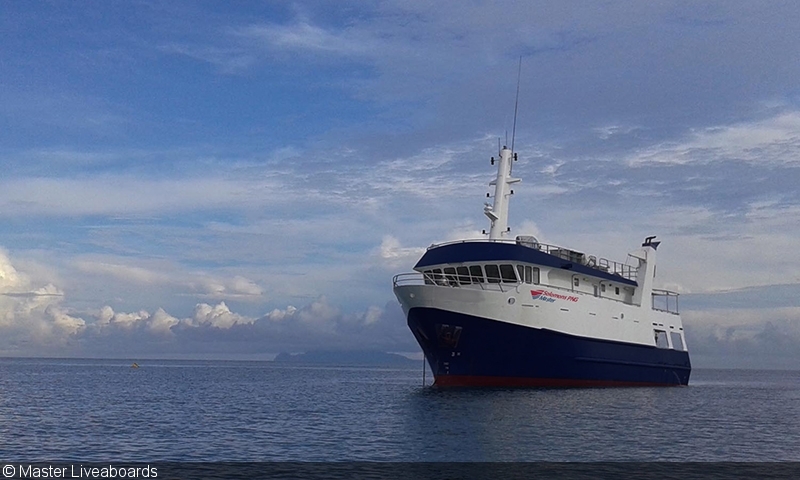 Situated to the south east of Papua New Guinea and only 3 hours by air from Australia. The Solomon Islands are one of the most peaceful and beautiful areas of the Pacific. The Solomon Islands comprise 992 islands, of which 147 are inhabited. The international country code for the Solomon Islands is 677. The Solomon Islands are 11 hours ahead of Greenwich Mean Time (GMT). Dental, doctors and hospital services are available in major centres. There is a recompression chamber in Honiara. Malaria is a problem in the Solomon Islands, and anti malarial precautions are highly recommended. Remember that some medications can make you sun sensitive, so extra care must be taken to ensure that skin is protected from sun burn. Please check with your physician for the best precautions to be taken. (For further details contact Travel Vax on 1300 360 164). The currency of the Solomon Islands is the Solomon Dollar. Most major credit cards are accepted at the majority of hotels. The allowance is 200 cigarettes or 250g of tobacco and 2 litres of spirits or equivalent. The emphasis is on light and casual clothing but not too brief in public places. Swimwear is not permitted in the public areas of hotels, a light throw over is appropriate. Remember to cover up with light cotton clothing at dusk and dawn to prevent mosquito bites. Sun protection is absolutely essential. 240 volts AC, Plug I - same as Australia. Electricity is not available on all islands though and supply may be erratic. Trading banks are ANZ, Westpac and Bank of the South Pacific. If traveling to the remote outer islands, it is best to change travellers cheques and/or cash first. Some tourist facilities charge a 5% surcharge. There are banks in Honiara and Gizo and an ATM at Munda Post Office. Banking hours on the mainland are 8.30am to 3.00pm Monday to Friday. Predominately English speaking throughout although Melanesian pidgin is spoken by locals. Do not drink the tap water. A jug of drinking water will be supplied by most hotels and bottled water is sold everywhere. In the tropics it isÂ important to drink plenty of non-alcoholic fluids to avoid dehydration. Shops in Honiara are open 8.00am to 12noon and 1.00pm to 4.30pm Monday to Friday. Shops and some offices open 8.00am to 12noon on Saturdays. High quality craftwork including wood carvings, mother of pearl items, shell jewellery and baskets can be bought direct from craftsmen in the outer islands or from craft and souvenir shops in Honiara. Local markets operate most days offering flowers, fruit, vegetables and handicrafts. The majority of visitors to the Solomon Islands go to snorkel or scuba dive. The fish life, corals and the many wrecks from World War II make the area one of the worlds leading dive destinations. Average water temperature is 29C so only a protective lycra suit or 3mm suit is recommended. Dive operators supply tanks, weight belts and dive guide services. There will be an extra charge if equipment hire is required.